The carnival gathers 6 famous beer brands from Germany including Lowenfort, Monchshof, Hofbrau Munche, Krombacher, Becker’s and Paulaner. 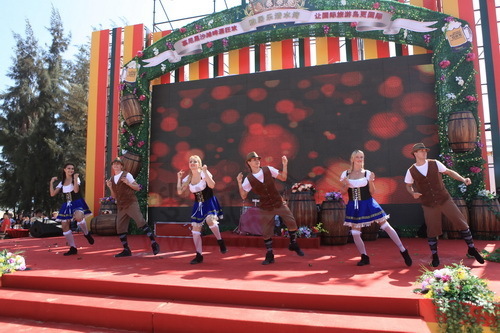 During the festival, many exotic performances from Germany’s Oktoberfest will be staged, such as the Munich clown and magic show, traditional German band music and beer girls’ hot dances. The event is Hainan’s biggest international tourist event of 2013, and millions of visitors are expected to flock there to attend.